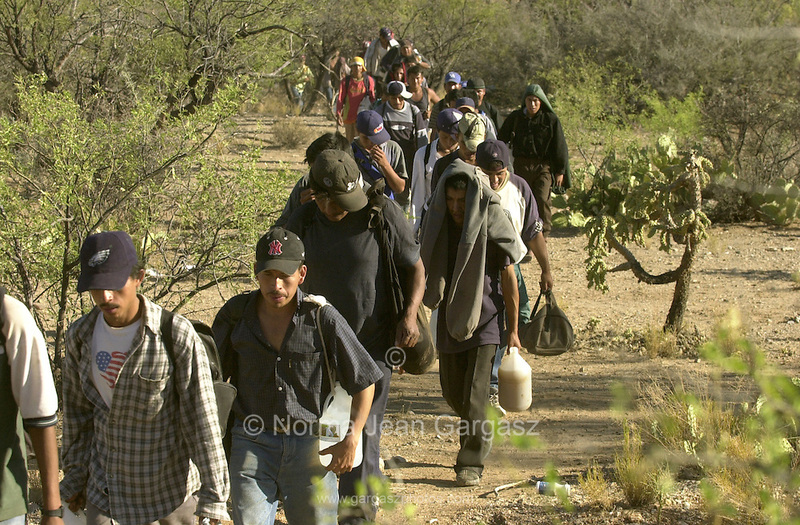 42 undocumented migrants who crossed from Mexico on to the Tohono O'odham Nation in Arizona head north east of Little Tucson in the deadliest stretch of the border in temperatures exceeding 110 degrees. ©Norma Jean Gargasz. All rights reserved. Use only with written permission of the copyright owner. Credit mandatory.